In February 1990, a young KGB officer departed from his first – and last – foreign posting and returned to a country that was still called the Soviet Union. Vladimir Putin had spent five years in East Germany and bought a used car (a “Volga”) with his savings. His return luggage also included a used washing machine – a gift from his neighbors. Fortunately for him, the old networks – contacts mostly cultivated by intelligence agents and (former) party members – survived the upheaval. This old and new elite enabled his ascent to the inner circles of power. He was “steadfast in a military way,” as Russia’s president at the time, Boris Yeltsin, described his successor in late 1999. One of the most notable political careers in recent history had begun. 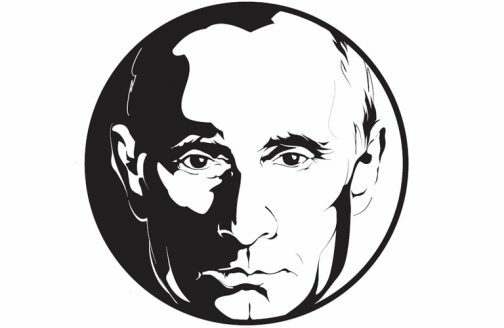 Now in power for 18 years – longer than Angela Merkel – Vladimir Putin is one of the world’s longest serving leaders. He is the overwhelming favorite to win the Russian presidential “election” for the fourth time when it is held in March of this year. There is no alternative. Opposing candidates? Several were permitted to register, all belonging to the official opposition and therefore bit players who know their roles in a staged democracy. Putin’s only serious rival in the long term, Alexei Navalny, is barred from running. The Kremlin’s political strategists are reported to be aiming for a “70/70” outcome: 70 percent turnout, 70 percent for Putin. The turnout, however, is a source of concern. Not voting could be seen as a sign of protest. Faced with growing repression and condemned to political passivity, younger people in particular are turning their backs on the cynical farce of Russian politics. Although participants numbered only in the low tens of thousands, nationwide youth protests of the past year were certainly a warning to the elites, as “Generation Putin” took to the streets against Russia’s bleak authoritarianism. Young people protested against the false values of an alleged new “Russian world” that is strictly anti-Western and demands patriotic obedience – a world in which Russia resembles a besieged fortress. Thousands of demonstrators were arrested and harsh sentences imposed – authorities would not permit a repeat of the 2012 mass demonstrations that the Kremlin says were instigated by the West. In Putin’s brand of “sovereign democracy,” nothing can be left to chance. Accordingly, election day – March 18 – has its own significance as a historic date for the new Russia; it is the fourth anniversary of the “homecoming” of the Crimea, the peninsula’s reintegration into the Russian Federation following an illegal annexation from Ukraine. Unassailable and unsanctionable, Vladimir Putin can be voted for as an “independent” candidate, a ruler seemingly with his own, unique, czar-like power who is now cementing his place in history. With apparent tirelessness, the “nationalny lider,” as he is known in Russia, is working to fulfill his mission to complete Russia’s resurrection and shape a new world order as the ruler of a sovereign superpower. Russian Foreign Minister Sergei Lavrov postulated a “post-Western era” almost nonchalantly at the Munich Security Conference last year. Indeed, it can be assumed that a globally confrontational foreign policy will mask the essential social and economic structural reforms the Russian elite is unprepared for. In any case, in Moscow’s view, the US-dominated “liberal order” is coming to an end – a view Donald Trump seems to confirm day after day. The “post-Cold War order” and its democratic declarations such as the 1990 Charter of Paris for a New Europe have had their day. Now, the new multipolar, post-Western world is returning to the principles of classical power politics – a balance, however unstable, among the major powers of Russia, the US and China. In this sense, Putin’s Russia is a revisionist power. Neither treaties nor laboriously negotiated compromises are what really matter, but rather the right of the strongest. It is no coincidence that in his speech to the UN three years ago, Vladimir Putin explicitly referred to the “order of Yalta,” the division of Europe into spheres of influence. Russia’s decoupling from the West has been going on for a good ten years. Clear warning signs were ignored. Putin’s fiery Munich speech against US hegemony in 2007 was just the beginning. One year later, then-Russian (interim) President Dmitry Medvedev was already talking about a zone of Russian “privileged interests,” which basically includes all post- S o v i e t states except the Baltic NATO members. Developments in the post-Soviet world could influence power structures in Russia itself. Frozen conflicts in places such as Georgia, Moldova and Nagorno-Karabakh are intended to safeguard Moscow’s escalation dominance. In Ukraine, the situation is much more complicated and dangerous. The Minsk Agreement is being undermined by Kiev as well as Moscow. In rebel-held Eastern Ukraine, the ongoing war, the people’s disastrous living conditions and infighting among local warlords over money, weapons, coalmines and steel works are also causing problems for Moscow. The announced delivery of armor-piercing weapons by the US to Ukraine has increased the risk of further military escalation. But Russia’s most important foreign policy goal in the post-Soviet space seems to have been reached: halting the eastward enlargement of NATO and the EU. Ukraine will not become a member of NATO even in the long term, and full membership in the EU is likewise a distant goal. Moscow wants to play for time in Ukraine and work towards a new, perhaps more pro-Moscow government in Kiev. In doing so, Russia is also betting that European leaders will grow tired of backing Ukraine. Targeted weakening of Europe’s already troubled democracies is also safeguarding Russia’s hegemony in the post-Soviet space. Moscow views the EU as nothing but an appendage of the US. Instead of negotiating energy deals with Brussels, Russia is seeking to clinch bilateral agreements with the EU’s conservative, pro-Moscow and often populist “illiberal democracies.” In this way, Russia is working to establish itself as a kind of veto power at Europe’s periphery. After all, in the past 25 years, as Russia sees it, all its attempts to find a legitimate place in Europe have been thwarted – and this point of view is not without merits. Second, Moscow sees a historic opportunity to end the era of US hegem o n y , w h i c h it regards as a “unipolar” aberration. 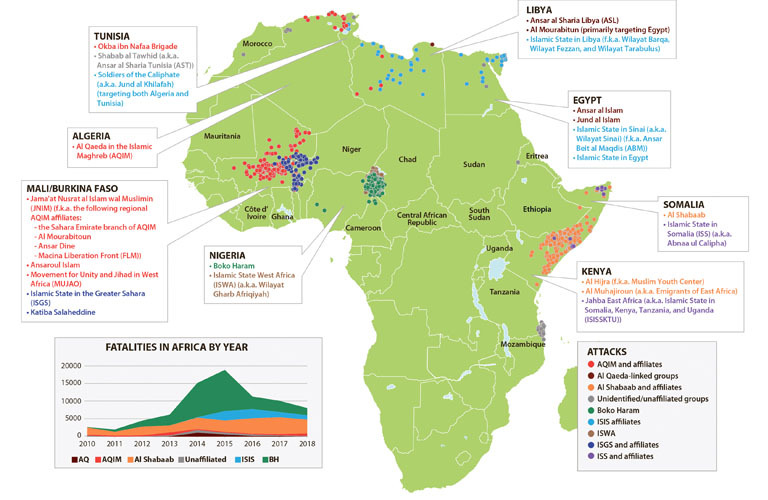 The US is on the retreat strategically as it suffers under its inner contradictions. Although Moscow had initially placed its hopes on real political deals with Trump, he appeared to be the far better alternative to the despised Hillary Clinton. But this optimism quickly vanished, and not just because of “Russiagate.” The apparent incompetence of the US president, his unpredictability and his rhetorical readiness to escalate, such as in the conflicts with North Korea and Iran, make Moscow uneasy, not to mention the almost hysterical proclivity in the US Congress for anti-Russian sanctions. Moscow’s relationship with the US has never been so bad since the end of the Cold War. But the foreign policy vacuum left by the US is being filled wherever the opportunity arises. Putin is a risk-taking tactician who views politics as a zero-sum game. Every day in Syria, Russian bombers and helicopters defied Angela Merkel’s mantra that there could be “no military solution.” Putin wagered that neither the US nor Europe would intervene. His bet paid off. The Islamic State suffered defeat and Bashar al-Assad won the war. This is how Russia is establishing itself as a new global player, above all in the Middle East. With two military bases in Syria, Russian presence in the Mediterranean seems secured for a long time to come. Deployment of the S-400 anti-aircraft missile system effectively grants Moscow sovereignty over the country. The potential reconstruction of the war-ravaged country with the help of international funds promises lucrative business for Russian companies. And with US Middle East policy in disarray, Moscow – as during the Soviet era – is proving itself a major diplomatic power in the region as it defines common security interests with Israel, Turkey, Saudi Arabia and Iran. Putin maintains good relations with Egypt’s President Abdel Fattah el-Sisi, and not only regarding arms exports. It has been an astonishing success. Russia, once a declining regional power, is establishing itself as an “indispensable” nation. In dealing with this new Russia, Western capitals have been counting – rather helplessly – on dual strategies from the Cold War, as was spelled out long ago in 1967 by Belgian Foreign Minister Pierre Harmel: The West should advocate deterrence and containment while signaling desire for de-escalation. The implication here is an emphasis on dialogue, strategic patience and “principled pragmatism,” as it was called – all the while seeking to maintain strategic stability. But this approach too is under threat. This is because the nuclear card is back on the table, in both the East and West. Critics even fear the complete collapse of nuclear arms control. The INF Treaty, which was concluded in late 1987 between Soviet General Secretary Gorbachev and US President Reagan and allowed the destruction of some 3,000 nuclear missiles stationed on land, is being undermined. The first real ban on a category of weapons was both a military and political turning point in Europe; the Intermediate-Range Nuclear Forces Treaty (INF) ended Western Europe’s direct nuclear threat from Soviet SS-20 missiles while the withdrawal of American Pershing 2 missiles from Western Europe enhanced the security of the Soviet Union. The INF Treaty heralded the beginning of the end of the Cold War. For years, the US has been suspecting Russia of violating the treaty. Beyond (permitted) development and testing, it is believed that new SS-C-8 (9M729) medium-range missiles have actually been deployed in at least two battalions of the Russian armed forces. The NATO partners were informed of these movements last November by the US, although hard evidence was apparently not submitted. Russia could well have a strategic interest in breaking out of the INF Treaty, for example to better shield itself in the east against the unstoppable rise of China. At the same time, Moscow can use the INF crisis to test NATO’s unity. Whereas one NATO member state – Poland – is debating the possible stationing of US nuclear weapons, another member – Germany – wants to avoid all discussion of an arms buildup. The Russian leadership denies it is breaching the treaty. According to Putin, Russia can defend itself with ship-based medium-range missiles, like those used in Syria, for example. The Kremlin points to NATO’s conventional superiority and the US anti-missile shield, currently based in Romania, whose launchers are similar to the ship-based Aegis Ashore anti-aircraft system. Aegis, Russia suspects, can also launch medium-range missiles. Each side accuses the other of seeking pretexts for breaking out of the INF treaty. The looming security dilemma could lead to a new nuclear arms race, and of course that would be big business for arms companies on both sides. The US Congress approved initial funds for the development of new medium-range missiles. Vladimir Putin is claiming his place in history as architect of Russia’s survival against the West and subsequent resurgence. Monuments built to commemorate his rule are only a matter of time. The remainder of his tenure will feature about as much democracy as it will profound economic or political modernization; an increase in any of these would mean the beginning of the end of the Putin system. Yet, as his oligarchs plunder the country in an unprecedented manner, it must also be noted that under Putin, many everyday Russian lives have improved for the first time in decades, at least temporarily. While the center of power increasingly resembles a czar’s court, political stagnation at home is hailed as stability. 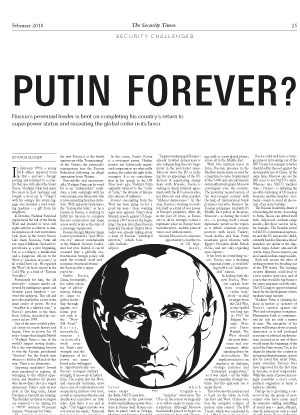 Putin forever? People initially laughed at the thought. No one is laughing anymore. writes for the German weekly Stern and is a longtime correspondent in Moscow. In 2017 she published Fremde Freunde. Deutsche und Russen – Die Geschichte einer schicksalhaften Beziehung (Foreign friends. Germans and Russians – The history of a fateful relationship).